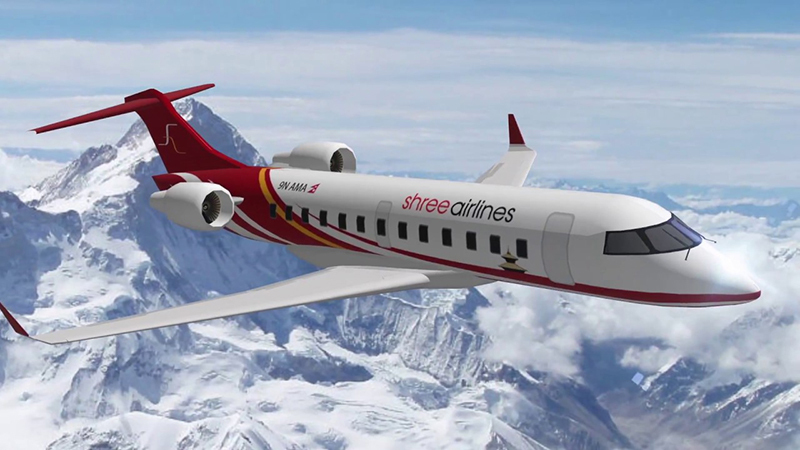 KATHMANDU, July 31: Private Aviation Provider Shree Airlines, which remained grounded for a long time finally has acquired the "Proving" flights permissions on Monday. The aviation regulatory body of Nepal Civil Aviation Authority Nepal has mandatory provision of Proving Flight before granting permission to conduct flights, AOC. The authority has set Monday for the proving flight. A team from the CAAN, pilots and other engineers will be in Proving flights. The technicians will observe all the planes that will fly for the Proving flight. The airlines is said to have conduct the proving flight from Kathmandu to Biratnagar, Marketing Executive of the airlines Anil Manandhar informed. "We are hopeful that we will acquire AOC after the proving flight," Manandhar added. Shree Airlines has already spent an amount of 2 million rupees as parking charge to the CAAN as it is awaiting the permission since three months. It also has brought in the 3 airplanes to operate domestic flights with investment of more than 2 billion rupees. The airline is in plan to induct all the three airplanes in Bhadrapur, Bhairahawa, Nepalgunj, Dhangadhi to and fro Kathmandu and the Mountain Flight. It is operating its helicopter service since the long period of time now with the introduction of airplanes in the Nepali skies it is set to expand its heli-service to other countries too. The two 50 seated CRJ-200 aircraft has got the call sign of 9 N-MC and 9 N-MMA. The CRJ-700 has got the call sign of 9 N-MB.